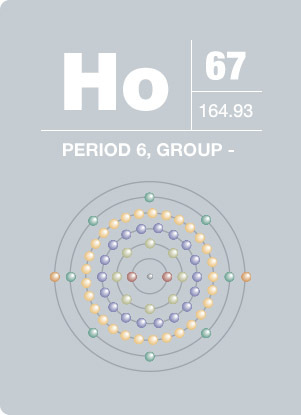 Holmium is stable in dry air at room temperature but is rapidly oxidized in moist air or when heated. Holmium has the highest magnetic moment of any naturally occurring element and possesses other unusual magnetic properties. Holmium has been used to create the strongest artificially-generated magnetic fields and is also used in nuclear control rods. Solid state holmium lasers are found in a variety of medical and dental settings. One such application is used to break up kidney stones while being minimally invasive.